Over the years with the great expansion of scientific knowledge, the basis of applying science particularly chemistry to develop technology has increased tremendously. This has lead to the development of the profession of chemical Engineering. Chemical Engineering involves the design and maintenance of chemical plants and the development of chemical processes for converting raw materials or chemicals into valuable forms including those to remove chemicals from waste materials, to enable large-scale manufacture. It combines knowledge of Chemistry and Engineering for the production of chemicals and related by-products. This branch of engineering is a varied field, covering areas from biotechnology and nanotechnology to mineral processing. It covers various fields of chemical technology in mineral based industries, petrochemical plants, pharmaceuticals, synthetic fibres, petroleum refining plants etc. 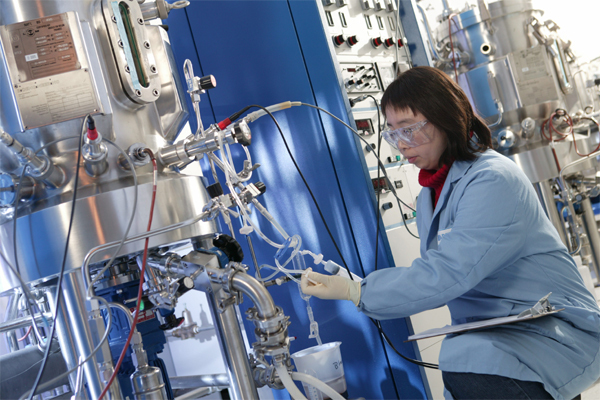 Chemical engineers design and operate chemical plants and improve methods of production. Chemical Engineering is the apt career for those who have an aptitude and interest to work with chemicals. However Chemical Engineering is different from chemical technology. The former is concerned with the designing, supervision, construction, installation and operation of plants and equipments for manufacturing chemical products and developing new methods of production while the latter deals with the actual production of substances with new properties which require new methods of production in the fields of petroleum refining, fertilizer technology, processing of food and agricultural products, paints and dyes; recycling metals, glass and plastics; cosmetics, mineral based industries and prevention and control of environmental hazards. The work of Chemical Engineers, the most versatile of all engineers, involve the invention, development, design, operation and management of processes in industries. So they combine the work of several fields such as those of chemists, industrial engineers, materials engineers as well as electrical engineers. Chemical engineers are responsible for the availability of modern high-quality materials that are essential for running an industrial economy. They design equipments and operate chemical plants as well as determine the problems and find the best methods of production. The scope for chemical engineers is tend to grow in future due to industrial expansion and the related scarcity of resources needed. They may be demand as they work to create synthetic replacements for those natural materials and resources that are in short supply. Overall chemical engineers could make very important contributions for the improvement and maintenance of the quality of life.